This article is dedicated to a questions of your safety in Egypt as residents there or tourists. If you do not know how to act in any suddenly appeared situation, read our recommendations – it should be usefull! Until the revolution there were about 5 million foreigners in Egypt who were permanent residents of Egyptian cities, the largest of which are Cairo, Hurghada, Sharm El Sheikh, Safaga and El Gouna. International business developments were taking place then and are doing so now; however, as of now there are fewer foreigners in Egypt than there were before – about 2 to 3 million people. People from Europe, Russia, and Ukraine – and less frequently from the US – are living and working in Egypt, as well as arriving in and departing from the country. Almost every foreigner encounters problems with the law in Egypt. 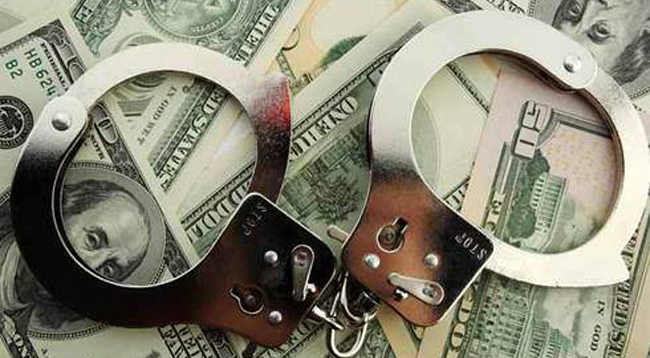 Financial fraud in Egypt – the most profitable business related to foreigners. Illegal sales of real estate and cars, insurance fraud and refusal of services that have been paid for—it’s all there. In each and every case a foreigner has to be under the protection of a lawyer, from the very fact of discovering fraud to the closing sentence in the case. The first thing to do when encountering financial fraud is to schedule a consultation with a professional lawyer in Egypt. Theft in Egypt – petty theft, theft of property, jewellry and telephones from tourists or resident citizens in Egypt. However, sometimes thefts are of a larger scale—documents are falsified in order to hand the rights to a vehicle or a property over to somebody else. Car accidents with foreigners in Egypt as the injured party. Everyone living in or visiting Egypt knows how the Egyptians drive their cars. There are virtually no rules. Reckless driving accounts for the fact that tens of people are injured or killed on the streets of Egypt, including citizens of Germany, the United Kingdom, Italy, Russia, the United States and the CIS countries. In the case of a car accident it’s better to call a lawyer in order to receive a compensation (the amount of which can be rather high in some cases), because the police often looks the other way in cases of car accidents. It’s also hard to keep the party at fault from leaving—it’s best to take a picture of the car and write down the number in any case. Foreigners’ crimes and murders in Egypt – These cases are rare but do happen. The murder of a foreigner in Egypt (or a murder committed by a foreigner) can stem either from self-defence, fateful circumstances (manslaughter) or a planned action (revenge, business, jealousy). Statistically speaking, it’s usually self-defence when a foreigner kills a citizen of Egypt; however, timely and accurate involvement from a lawyer is required in order for explanations in police and court. In the case of a foreigner being murdered in Egypt, it’s necessary to consult a lawyer just because people of Arab nationality can use their connections to ‘solve the matter’ in terms favorable to them. Divorce from Egyptians – with or without children, it’s a long process. Just like the marriage of an European and a citizen of Egypt, the divorce can be a long and complicated thing as well. It can take up to six months due to the required validation of all the paperwork in minstries of Egypt and foreign embassies. In case of a divorce, it’s usually a foreign wife in Egypt; in many cases she has already left the country and wants the divorce to take place remotely. It’s a lot worse if the foreign wife cannot leave Egypt because her spouse prohibits it. Professional lawyers provide legal defence, support and help with leaving the country for foreigners as well as formatting and translating the necessary documents. A small issue can grow out of proportion if you don’t commit to solving it. There are millions of things that can spark one of the crimes described above. First of all, calm down. 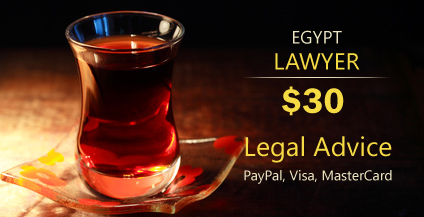 Call – don’t write emails, don’t wait for answers in forums – an authorized lawyer in Egypt: well-known or large, licensed companies. Why is it so important to contact only certified lawyers? First and foremost—to escape another crime. Crimes that ought not to have happened are prevalent among the so-called ‘private lawyers’. If possible, take a photo of the object or the man who partook in the crime; ask for his ID data politely, without exacerbating the situation. Call the lawyer to where the time took place. Wait calmly on the very spot; don’t take any actions before you’ve talked to the lawyer and checked his sertificates. Listen to what the lawyer says and work accordingly to his plan and the aid he provides. By taking these steps, you can not only safeguard yourself by acquiring legal protection in Egypt but also, in case if you’re not the party at fault, to receive a good money compensation in Egypt. Get your answers right now! Pay for the consultation and tell us the Email or your telephone. We guarantee the full answer to the question or you'll get your money back. 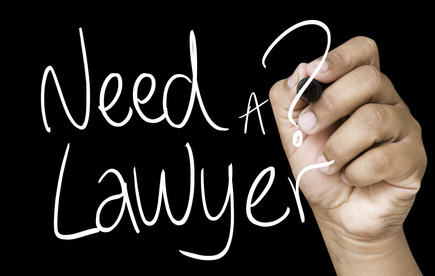 Customers who choose the Ayman Sultan Law Firm can be certain that we have the expertise, skill, and knowledge to handle any type of legal issue. We are proud of providing its clients personal service of the highest quality in order to obtain desirable results. Moreover, you can be sure that all of your calls and emails will be promptly answered by our specialists. Full-specialized professional lawyer in International Law. Excellent expirience in criminal and commercial cases, financial frauds. Attorneys with a win-win expirience in Family and Personal Law. Good oriented in any labor cases and business starting companies. Contract legal support for new organizations and middle business. Full-specialized partner in MIddle East cases. Most expirience and high degree of wins in family law and real estate case development. Good experience in Tourism Intrenational Law. Providing of any cases in Algeria and Middle East for french Customers and Partners. High-specialized lawyer in family and civil law according to international marriages in Islam. Arabic marriage and international marriage in Egypt. What about to buy a real estate in the resorts of the Red Sea or Cairo? There are more than 200 agencies of real estate in the most visited resorts in Red Sea Hurghada and Sharm-El-Sheikh. Increasing of that kind of business explains by a building boom and active interest between international companies and buyers. The most valuable is the way of real estate sales of big developers who offer the share investment to the construction. This issue is referring us to the articles no 296:301 from the Egypt civil procedures cod. that are the applicable rules for this topic.